Here’s some irony: You know Relacore Brain Booster, the Stress Reducer, Mood Enhancer nootropic supplement? Well, it stresses me out and puts me in a bad mood! For one, the awesome ingredients in its formula that might benefit mood, cognition, & focus are hidden within a dosage-masking proprietary blend. 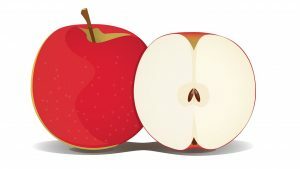 For two, that blend is far too under-dosed to work, essentially leaving us with the non-proprietary elements of this supplement: the vitamins & minerals. The question now is how much of this is the product’s fault vs. just the Nootropic Geek overreacting? Let’s hit the review to find out. 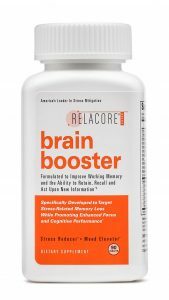 Who Takes Relacore Brain Booster? Conclusion: Does Relacore Brain Booster Work? Basic Research’s Relacore Brain Booster is a self-identified Stress Reducer & Mood Enhancer that doesn’t quite pass as either. The upshot of this formula seems to be its non-proprietary stack of vitamins & minerals. The actual nootropics are stashed away in Relacore’s poorly dosed proprietary blend, in which I see at least one of my favorites: Bacopa. Other Ingredients: Microcrystalline Cellulose, Stearic Acid, Croscarmellose Sodium, Magnesium Stearate, Polyvinyl Alcohol, Hydrated Silica, Polyethylene Glycol, Talc, Riboflavin (for color), FD&C Yellow No. 6 Lake, Titanium Dioxide, Silicon Dioxide. Directions: Adults take 3 tablets in the morning with a full glass of water. Relacore Brian Booster can be taken with or without food. Do not exceed 3 tablets per day. Individual results will vary. Vitamin B6 – Enhances cerebral circulation as well as mood, although P-5-P is the superior option over the Pyridoxine HCl here. More on B6. Vitamin B12 – Semi-essential nutrient for elderly & vegans, assisting with brain health & a countless number of metabolic pathways. Relacore sides with the cheaper cyanocobalamin over the preferred methylcobalamin. More on B12. Vitamin C – Antioxidant vitamin, great for brain & bodily health. Relacore delivers a substantial 1,000 mg dosage. Bacopa Monnieri Extract – Unknown amount of an unknown extract of an awesome Ayurveda nootropic, believed to enhance memory & learning, making it a prime nootropic for the students. More on Bacopa. Quercetin – Antioxidant bioflavonoid with synergistic potential with health compounds such as resveratrol & green tea catechins. May assist with cognitive impairment, especially when paired with the next ingredient. Japanese Knotweed Extract – Japanese Knotweed is practically synonymous with resveratrol, which delivers this herb’s primary bio-benefits — although, for nootropic purposes, I recommend pterostilbene, a resveratrol analogue that’s 4x more bioavailable. More on Pterostilbene. Acetyl L-Carnitine – Carnitine as ALCAR is able to cross the blood-brain barrier, enhancing mitochondrial energy output in the brain for more charged-up cognition …at least for elderly cognition. ALCAR doesn’t do much for the average healthy, younger user. More on ALCAR. Ziziphus jujuba Extract – Clinical human evidence is limited, yet traditional usage of Ziziphus supports this herb’s anti-anxiety, sedative benefits. Caution: Traditional usage of Ziziphus also demonstrates potential anti-fertility effects on women, although clinical research has yet to check into this. I recommend avoiding Ziziphus jujuba for the time being if you’re trying to conceive. Phosphatidylserine – Another nootropic compound that’s great for elderly cognition, delivering multiple benefits on brain health, including brain toxin clearance, cell-to-cell communication, acetylcholine restoration, & more. More on Phosphatidylserine. Quality – Relacore could improve several vitamin & mineral forms as well as the junky “Other Ingredient” additives tainting its pills. Quantity – 305 mg is nowhere near sufficient in covering the six ingredients in Relacore’s proprietary blend. What’s worse, I have no idea the allocation of that 305 mg, due to the proprietary status of Relacore’s formula, which obscures the individual ingredient dosages of its nootropics. Typically, a 3 tablet serving size can handle this reasonable number of nootropics, but Relacore overspends on the cheap multivitamin portion of its formula, failing to deliver the brain boosts as promised. Vitamins, minerals, antioxidants — healthy, nutritious compounds to fuel, energize, & bolster the brain & body, especially for aged men & women. Thankfully, Relacore opts for herbal extracts over just plain powder, which would require much, much higher dosages than their concentrated counterparts. Depending on where you buy, Relacore can be relatively affordable & cheap. The proprietary shenanigans masks the most important part of Relacore’s formula: the actual nootropic brain boosters. 305 mg is far too low, a puzzlingly low number considering Relacore’s hefty 3 tablet serving size. Tablets tend to come with junky additives, at least more so than capsules, but Relacore’s tablets seem especially junky with their unnecessary colorants. My hunch: older consumers. Men & women aged over 50 will likely notice healthier, rejuvenated thinking more so than younger Relacore users. I’d be curious how the Relacore experience compares to a standard multivitamin, though. You can buy Relacore through a number of retailers, including Amazon, GNC, & Walgreens. 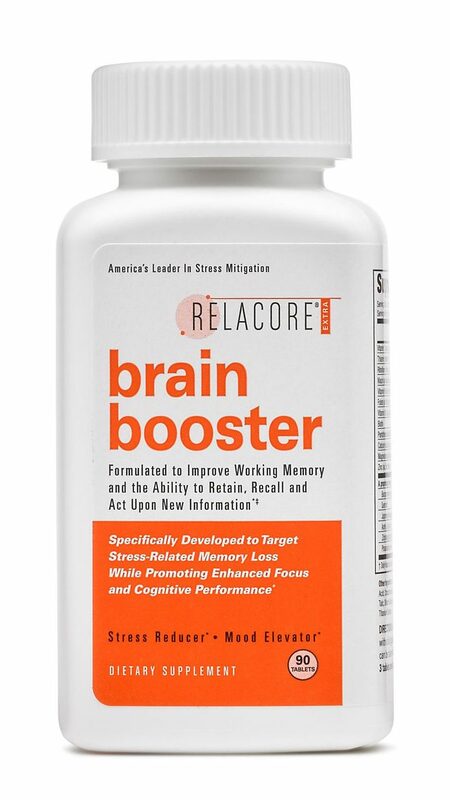 Relacore Brain Booster perhaps works to rejuvenate a vitamin/mineral deficient brain, potentially exceeding that rejuvenation with brain healthy antioxidant support. I’m also hopeful that Bacopa extract, the leading ingredient in Relacore’s proprietary blend, is receiving a decent enough dosage to deliver its memory enhancing effects — this would truly qualify Relacore as a nootropic supplement. However, personally, I’m not too confident that Relacore does much more for cognition than a quality multivitamin — in fact, there might be better quality multivitamins on the market at a cheaper price than this. Even so, it doesn’t hurt to try Relacore (unless you’re a pregnant-hopeful woman, in which case I’d recommend passing on Relacore’s Ziziphus).